When you make an enquiry with us, you are asked to provide your email, phone number and contact name which allows us to contact you to discuss your enquiry and allow us to make a booking with you. After your consultation, your contact details will not be used again unless you choose to contact us again or opt in to our marketing information. When booking a consultation, we do also ask for you to fill in a “client information form” which gives us more information on your fashion sizes, budget, likes and dislikes. This allows us to understand what you want to gain from the consultation and is only used for this purpose. We require this information to provide you with the best consultation possible. The information we use is purely to allow us to contact you to arrange a consultation. 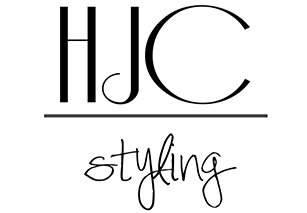 In the event you fill in a “client information form” which is sent from the stylist directly, this is only used to work with you on your booked consultation, afterwards this will be deleted indefinitely. Any information that is collected between your initial enquiry and consultation date is secured on a password protected device. In an event of a data breech you will be contacted directly. We do not share your details with any third parties and any information you share with us is confidential. We will only send you marketing information on our own styling services If you agree to receive this by opting in to receiving our marketing emails. If you would like to access any information you think we may have, you are welcome to contact us and we will provide you details within 7 working days.